Today I’ve spent a lot of time working on some of the ideas and techniques shown to me by Bryan, and already I can hear a lot more consistency in my strokes. It hasn’t been a case of scrapping what I already know and starting again, but it has been a case of taking what I already know and enhancing that. I’m self taught on drums for the most of it. I have had lessons here and there which have always helped, but I got to university level the same way that a lot of other drummers and musicians have; picking up the sticks, bashing some drums, hoping for the best and learning along the way. So as you can imagine I was a little worried when we discussed technique, thinking that I may need to go back to square one. But this hasn’t been the case. 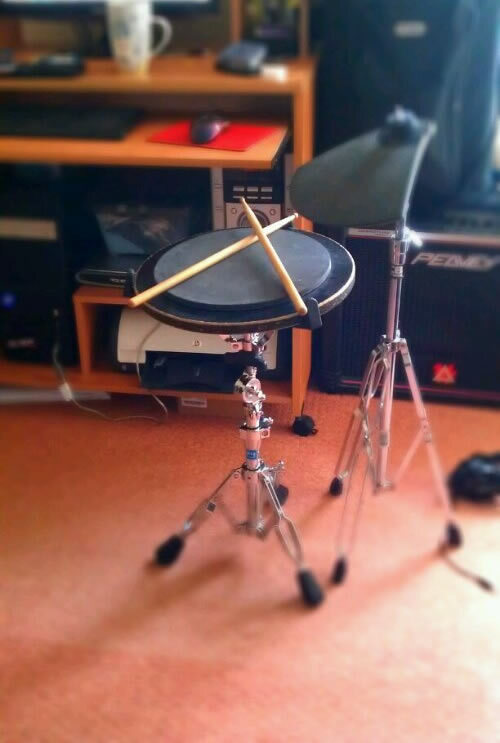 So I’ve been trying a few different things technique wise on the pads (see below) and playing along to a lot of music, but most importantly, just having fun with it.